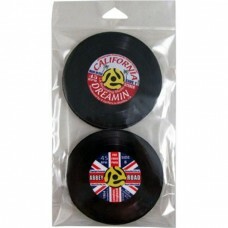 Pack with 4 coasters with 45 rpm images. They have the furrows designed and in the center 4 labels: .. Pack with 6 plectrums 3 D MOTION with subject on the alien invasions. On each plectrum there is a se.. 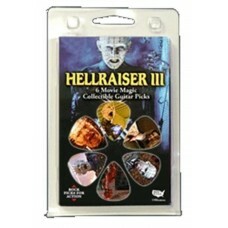 Pack with 6 plectrums 3 D MOTION three-dimensional with subject HELLRAISER III. 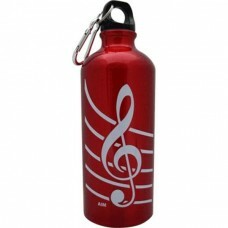 On each plectrum the..
Aluminum bottle for musicians. It's fine for any type of drink. 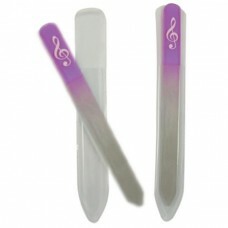 It has a screw cap and a carabiner t..
Great nail file for pianists or keyboard players. It is double-sided, with two different levels of f.. Mouse pad, circular in shape. Depicts a snare with overlapping sticks. For drummers, of course. The ..
Nail file for musicians (pianists, guitarists, bassists and others). It is made of glass, covered wi.. Magnetic bottle opener for crown caps. As a front decoration, it has a tortoise plectrum. It is very..
You're on a stage and it's dark! Or you're at a (music) lesson and it's equally dark! Or you want to..